If you are in need of debt collection and enforcement of judgment services, Law Offices of Paul A. Humbert, P.L. can help maximize the chances for recovery of your judgment or unpaid debt. We will work with you to craft a strategy that is both cost effective and most likely to succeed. Below is a list of some of the tools we use to collect unpaid judgments in Florida. At Law Offices of Paul A. Humbert, P.L., we specialize in creditors’ rights and the enforcement of judgments throughout Florida. 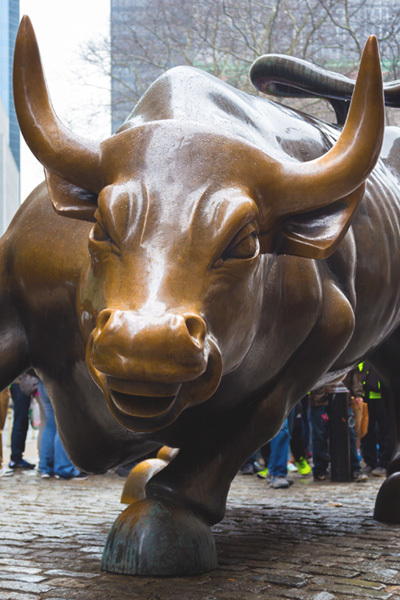 Numerous banks and institutional lenders trust our firm to collect their largest and most difficult judgments. Additionally, many out-of- state judgment creditors turn to us to collect on judgments entered in other states, where the judgment debtor has assets in Florida or has moved to Florida. Our firm is an invaluable resource for the out-of- state judgment creditor who needs to domesticate a judgment in Florida. We can guide the out-of- state judgment creditor through the complicated maze of Florida debt collection law. We successfully utilize all available enforcement remedies to ensure our clients have the best chance of collecting their judgments. These remedies include writs of garnishment, executions and levy of real estate and personal property, proceedings supplementary to execution, charging orders, and fraudulent transfer actions. Our firm has collected millions of dollars for aggrieved creditors. While many portfolios of older judgments garner collection percentages of 1- 3% of the total outstanding balance, our firm has enjoyed collections percentages far higher. And many of these collections are on older judgments that previous law firms representing the judgment creditor were unable to successfully collect. Our aggressive commitment to excellence, in addition to our vast asset search and investigative experience, sets us apart from other collections firms. Most debt collection law firms are mills that handle tens of thousands of credit card debt files, doing little more than writing a demand letter and making robo calls to debtors. At Law Offices of Paul A. Humbert, P.L., we put considerable effort and thought into a collections strategy suitable for each and every client, regardless of the amount of the debt or judgment. Perhaps a demand letter or phone call works in rare instance. However, most of the time a more aggressive approach is needed once that process has been exhausted. We understand how to implement cost effective strategies to make the collections process as efficient as possible. Since our firm takes many collections cases on a contingency basis, you have nothing to lose by giving us a try. If we don’t collect on your judgment, you will not owe a penny of attorney’s fees. Throughout this website we go into more detail about some of the debt collection services we offer at Law Offices of Paul A. Humbert, P.L. We hope the information you find is informative, but please keep in mind that all information contained on this website is just introductory. Each legal issue presents different and unique challenges and consultation with an attorney is always advised. “Do it yourself” may work well at Home Depot, but it could prove disastrous in the complicated labyrinth of Florida collections law. If you believe you are in need of our legal services, we are happy to give you a free consultation. We can talk about the problem and formulate a strategy to help you recover the money you are owed. At Law Offices of Paul A. Humbert, P.L., our creditors’ rights practice spans more than just post-judgment collections. We also represent institutional lenders, banks, businesses, and individuals in all aspects of commercial litigation. This representation spans all facets of foreclosure law, including assignment of rents and receivership litigation, deficiency judgments, and investments in distressed loans and real estate. Our extensive commercial litigation experience also includes commercial contract disputes, as well as accounts receivable and unpaid invoice litigation. Additionally, we have successfully litigated fraud cases in State and Federal Court, recovering millions of dollars for fraud victims. From credit damage claims to fraudulent transfer litigation to replevin of industrial equipment, we have seen and done it all. Many lawyers know how to adequately practice law, but few also know the intricacies of running a business. An intricate knowledge of both Florida business law and running a successful business are both necessary for proper representation of clients in business disputes. We can offer expert guidance in this area. We have worked with business both large and small throughout the State of Florida and abroad in all aspects of their business needs, from corporate implementation and asset protection, to enforcement of judgments and recovery of bad debt. Law Offices of Paul A. Humbert, P.L. is a business law firm. Even if it is just to chat, we urge you to give us a call and we would be happy to talk about your business and the concerns facing your business. Importantly, our firm is flexible in its fee structure in representing commercial litigation clients. Unlike large law firms that employ arcane mandatory billing requirements for associates, Law Offices of Paul A. Humbert, P.L. works with its clients to arrange a suitable and efficient fee structure. Our goal is to have our clients come back and use us for all their commercial litigation needs. We are not here bill a file and push paper, but rather to get you results. Recovering your money is the goal, and we never lose sight of that. Let us put our commercial litigation experience to work for you today. If a creditor (whether secured or unsecured) has a claim against a debtor who has filed for bankruptcy (whether the bankruptcy is a Chapter 7, 11, or 13), the creditor is entitled to file a proof of claim in the bankruptcy case to show that the creditor has a valid claim against the bankruptcy estate. If the amount of the claim is already liquidated, then the claim is filed for this amount. But there are times when the claim is unliquidated and needs to be determined/litigated by the bankruptcy court, or sometimes the parties will allow the state court to decide (if, say, the matter is already being litigated in state court). If the claim is ultimately allowed by the bankruptcy court, and there is a distribution in the case, then the creditor will be paid on a pro-rata basis. There are certain claims that are entitled to superiority over others, and this may affect when, and how much, the creditor is paid. If you are a creditor and do not file a proof of claim, you will not get paid through the bankruptcy and your claim against the debtor will likely be discharged/wiped away. Also, a creditor must keep in mind that there are time limitations associated with filing a proof of claim. Failure to strictly abide by these deadlines can result in the forfeiting of your right to recover funds from the debtor’s bankruptcy estate. Late filed proofs of claims are very rarely paid, as they are treated as a subordinate class to timely filed proofs of claims of general unsecured creditors. This means all other creditors have to be paid in full before the late filled claimant can be paid a penny. Some exceptions do exist, but they are rarely applicable and immediate attention must be paid to the proof of claim deadline set by the bankruptcy court. Almost always, an automatic stay is imposed when a debtor files for bankruptcy – meaning all collection efforts must immediately stop. In many instances, a creditor will need to obtain relief from the automatic stay pursuant to 11 U.S.C. § 362, through the bankruptcy court, in order to take action against the debtor or property of the debtor’s bankruptcy estate. 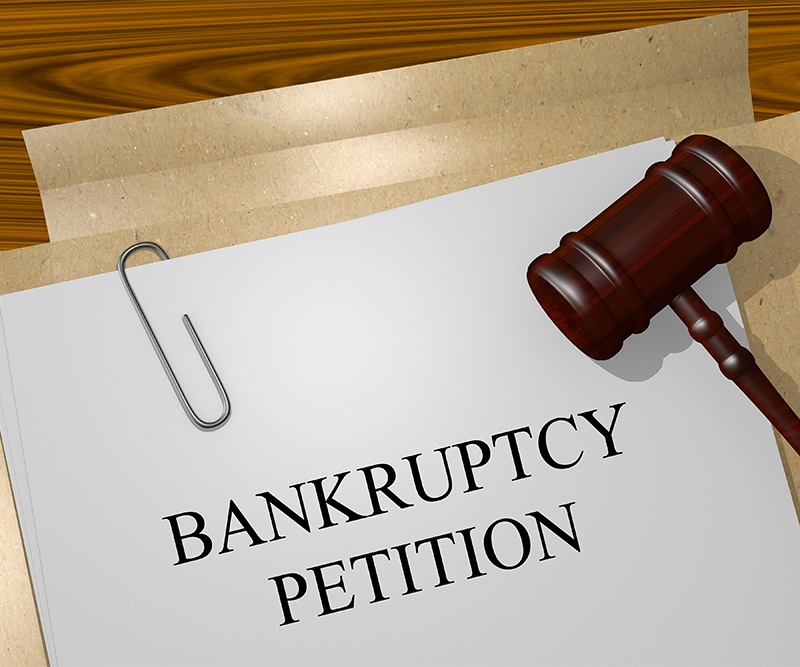 There can be grave consequences against a creditor who continues pursuit of a debtor after the debtor files for bankruptcy, including sanction by the bankruptcy court. Debtors file for bankruptcy with hopes of receiving a discharge. Creditors have certain means to block the debtor’s discharge (controlled by 11 U.S.C. § 727) and/or the dischargeability of the creditor’s particular debt (controlled by 11 U.S.C. § 523). There are strict time limitations that must be abided by, which is why it is important to seek counsel upon being notified that a debtor has filed bankruptcy and listed you as a creditor. Pursuant to 11 U.S.C. § 727, a creditor may object to a debtor’s discharge if, in sum, the debtor: concealed or destroyed property prior to bankruptcy, concealed or destroyed financial information, lied in connection with the bankruptcy case, failed to explain loss of assets, or failed to obey court orders. If the bankruptcy court grants an object to discharge, the debtor remains liable on every debt (as if the bankruptcy case was never filed). Pursuant to 11 U.S.C. § 523, a creditor may object to the dischargeability of its particular debt if the debtor obtained money, property, services or an extension or renewal of credit by false pretenses. An example of a possible dischargeability action is if money is lent to a debtor, who provided a false financial statement or tax return as an inducement for the loan to be made by the creditor. The particulars of 11 U.S.C. § 523 are in depth and beyond the scope of this discussion. However, the important point to remember is that immediate attention must be given when someone who owes you money files for bankruptcy. That may involve consultation with an attorney early on in the process, to ensure a valid complaint objecting to dischargeability of debt can be filed before any deadlines expire. In a Chapter 11 and 13, the debtor proposes a plan that needs to be confirmed by the bankruptcy court. There may be certain reasons why a creditor does not agree with the plan and wants to stop it from being confirmed. For example, if the creditor is not being paid in full (or at all), or is not being treated equally with similarly situated creditors, the creditor may need to file an objection to the debtor’s plan. There is rampant abuse of the bankruptcy system and a debtor may file for bankruptcy numerous occasions, simply to thwart the collection efforts of an active/aggressive creditor. This type of behavior must be brought to the bankruptcy court’s attention. Additionally, there are other reasons the filing may be considered bad faith, and it is important to explore these grounds for dismissal at the onset of a bankruptcy. Within a bankruptcy case, a creditor is entitled to take the deposition of the debtor. The process is similar to depositions in a traditional state court post-judgment sense, but Rule 2004 of the Bankruptcy Rules of Procedure offers tremendous latitude for the creditor. Creditors are allowed to examine the debtor concerning many facets of the debtor’s finances. This can be useful to determine if fraudulent transfers occurred between the debtor and third parties prior to the debtor filing bankruptcy. Adversary proceedings are often brought by the trustee in a chapter 7 bankruptcy (or a debtor in possession in a chapter 11) but can also be brought by aggrieved creditors. Fraudulent transfers by a debtor shortly before filing bankruptcy would be an impetus for a trustee filing an adversary proceeding against third party transferees of the debtor. Procedurally, objections to discharge and/or dischargeability are also brought through the opening of an adversary proceeding and filing of a complaint. 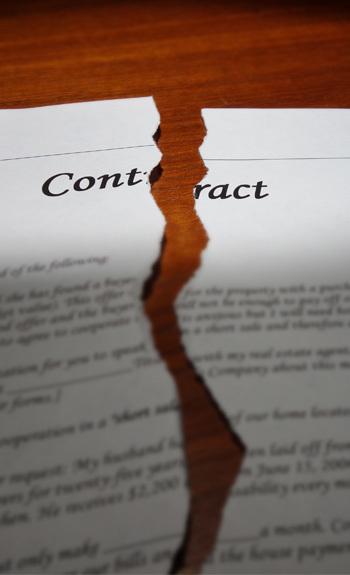 Contested matters, although similar to adversary proceedings, do not require the filing of a separate lawsuit, but rather are litigated in the underlying bankruptcy case. An example of a contested matter is a debtor or trustee’s objection to the proof of claim filed by a creditor. Different bankruptcy courts throughout the country have varying local rules on the procedures governing contested matters, but the bankruptcy code and bankruptcy rules of procedure set forth the framework governing contested matters. Bankruptcy appeals are more complicated than traditional appeals. This is because jurisdictionally, there can be multiple levels of appellate courts, including an appeal to a bankruptcy appellate panel or local district court, prior to appealing to the circuit court of appeals. In the Eleventh Circuit Court of Appeals (which Florida falls under) bankruptcy appellate panels do not exist, and an appeal from the bankruptcy court often goes to the local federal district court. The exception would be if the appeal goes directly to the circuit court of appeals, but this requires the consent of the parties.